Welcome to the second installment of Pedigree Poems! 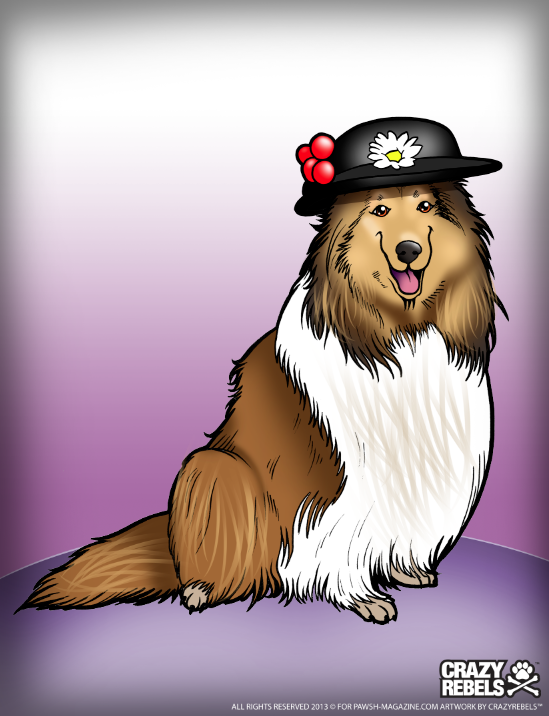 Today I hope you’ll enjoy this little ditty about the Rough Collie — a breed that is near and dear to my heart, as my childhood dog, Trilby, is a collie-retriever mix and the sweetest, most empathetic dog I have ever met in my life. Who loves to assume a Mary Poppins like role. With her family unit, who she sees as her flock. Who is calm and intelligent and never gives sass. Tremendous thanks once again to my dear friends at Crazy Rebels for this darling illustration. I always think collies are the Mary-Poppins characters for the dog world and her sweet little bonnet really completes that personification! Stay tuned for the next Pedigree Poem next month. Which breed would you like me to rhyme about next? PAWSH PERKS: An ode to Boston Terriers.